A triptych video menu for the Power Box restaurant. 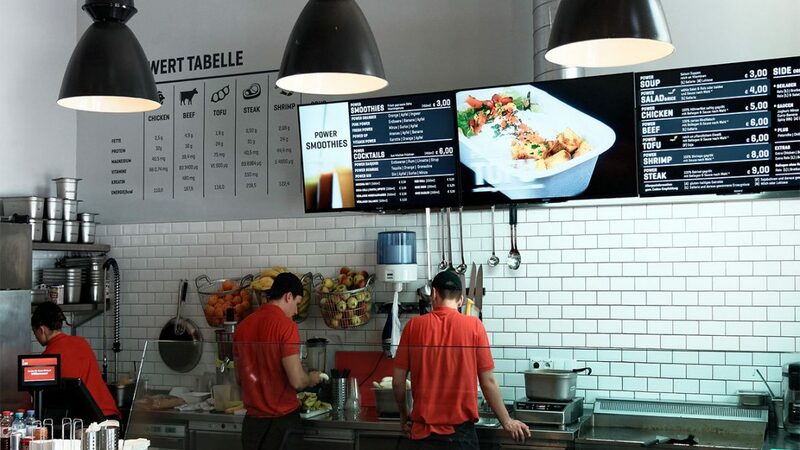 Designing the main menu for the Power Box restaurant, we wanted to try something new: instead of the printed and sometimes backlit menu board, we mounted three 50“ led monitors above the counter. 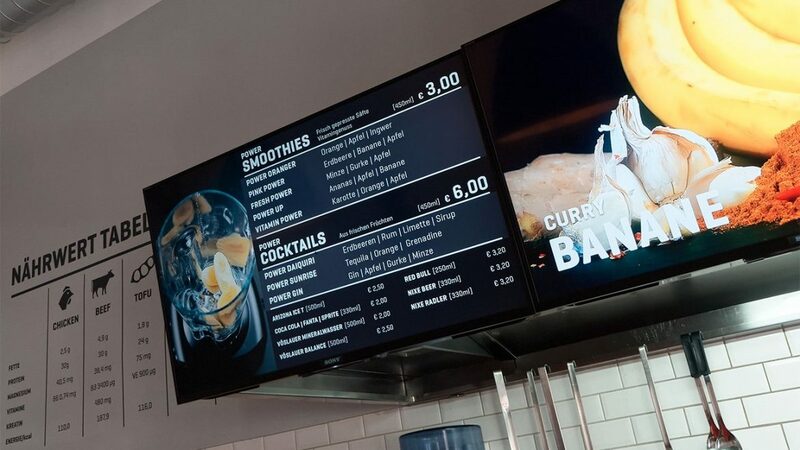 Next to the standard info, two videos showing additional info about the dishes and smoothies are running in loop. The videos were filmed in 4k on location and edited in HD.